Interior design isn’t something I’ve much experience in since I live at home. My room is basically like a 12-year old boys room, and I’ve done a few things to make the office look nicer but I don’t currently have the budget to really make it how I want it to look. I see these amazing “interior inspiration” posts on Facebook and Pinterest and think about what I’m going to do when I have the chance to decorate my own house, which I’m betting is gonna be a lot of fun. The room I’m most excited about designing in my future house is the office, but I guess it would also be pretty cool to design a kitchen. I get pretty confused about what I’m going to do with my future bedroom because, currently, my bedroom is pretty much a representation of me. It’s not “stylish” or “trendy”, and it’s not the prettiest room in the world, but it has the perfect mix of the tomboy part of my personality and small girly part. I love my room so much because it is really me, but it’s my childhood room so I feel like that is an important component in designing your childhood room. For my “grown-up” room when I move out, however, I have no idea what approach to take. For the other rooms, I have a couple of ideas/trends I want to follow, but for my bedroom, I’m a little scared of it looking too pretty or girly without really feeling like me. I think I will have to do a bit more research to really perfect my “grown-up” room but for now I’ll share with you the current trends in interior design that I really love at the moment that I could possibly be doing in the other rooms, if they are still on trend by the time I buy a house, which, let’s be real could be a very long time a way. The ebook has some cool information in it and useful tips. I’ll leave a link to the e-book here if you would like to check it out or www.chill.ie, the creators of it. So anyway, onto the trends I’m considering for my future house. 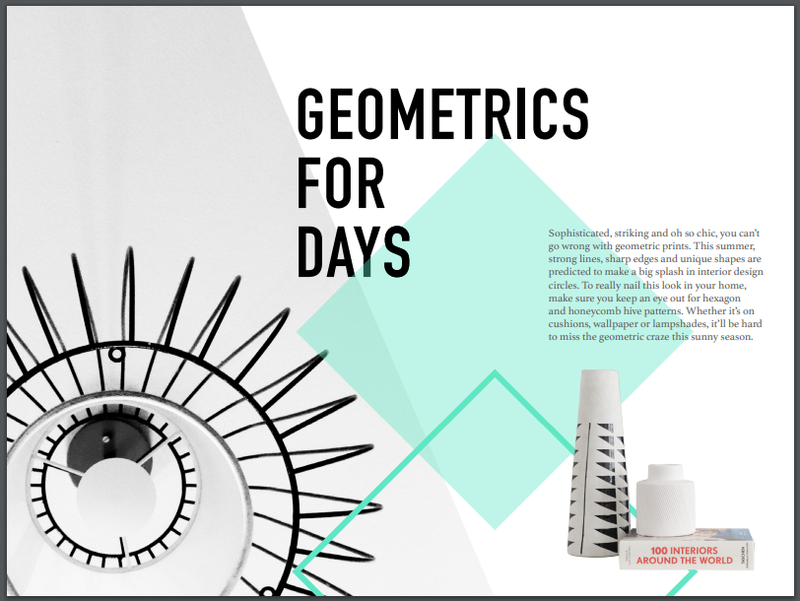 The first interior design trend that I liked which was mentioned in the ebook is geometric. This is actually something I could possibly do for my bedroom because it’s not too girly, and is a little bit edgy. Geometric is basically incorporating shapes into your design and the majority of the time, strong colours are used. It’s definitely a trend to keep in mind for designing my house because, from the examples I’ve seen of it online and on Pinterest, you can do geometric in lots of very different ways, so two geometric designed rooms can look completely different from each other. 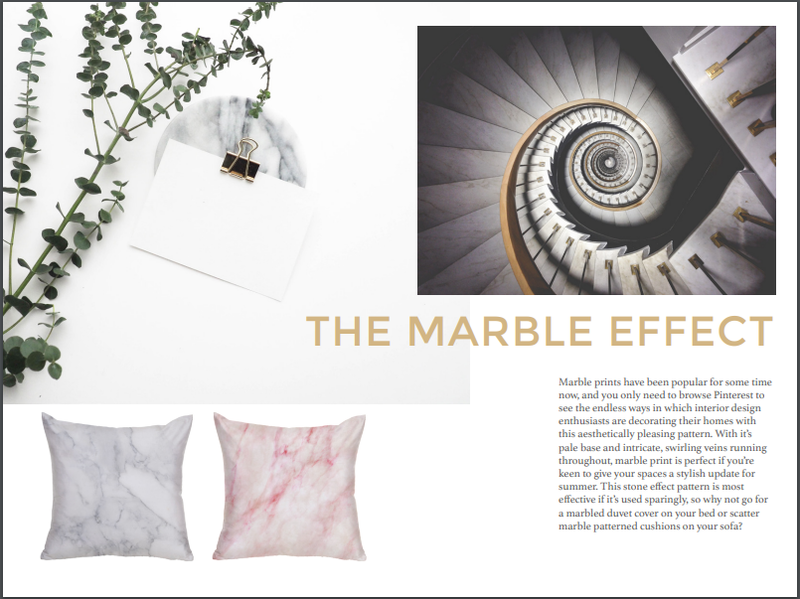 The next trend I loved from the ebook was the marble effect. This is definitely a big one among bloggers and beauty gurus. It is really pretty, especially when paired with white walls/furniture etc. The only thing about the trend that I don’t like is that I think it would feel like I was trying to be something I’m not… one of those perfect Instagram models or beauty vloggers. I do however love the idea of it for a blog background so watch out, maybe one of these days you’ll see me review a product with a white and marble background. The last trend that I’m talking about today is my favourite one: rose gold. I love rose gold. This is definitely something I would be incorporating into my office, and actually, have a little bit in my current office which I am doing a room tour of, along with my bedroom, on my YouTube channel in the next month so keep an eye out for that. 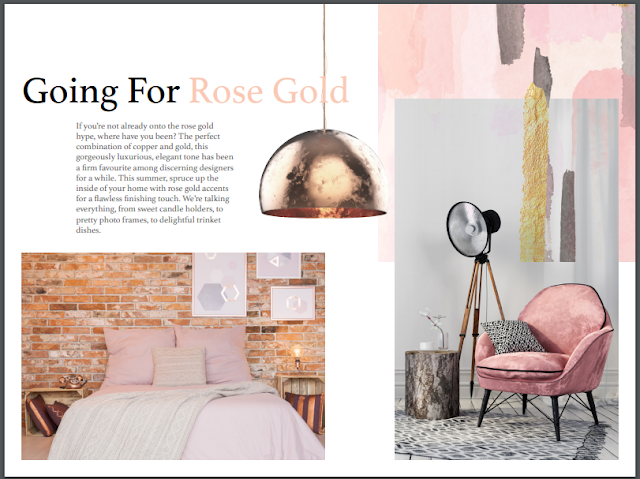 Rose gold is just so pretty, especially in interior design and I remember a year or two ago, Zoella got rose gold decorations for her Christmas tree and I loved the idea so much. So those are my favourite interior design trends at the moment. If you were interested in any of them or any others you should check out the ebook, Inspiration Interiors as it’s free and has some cool stuff in it. Also, make sure to look out for the page with the stormtrooper in it (I definitely need one of those in my house). I hope you enjoyed this post. 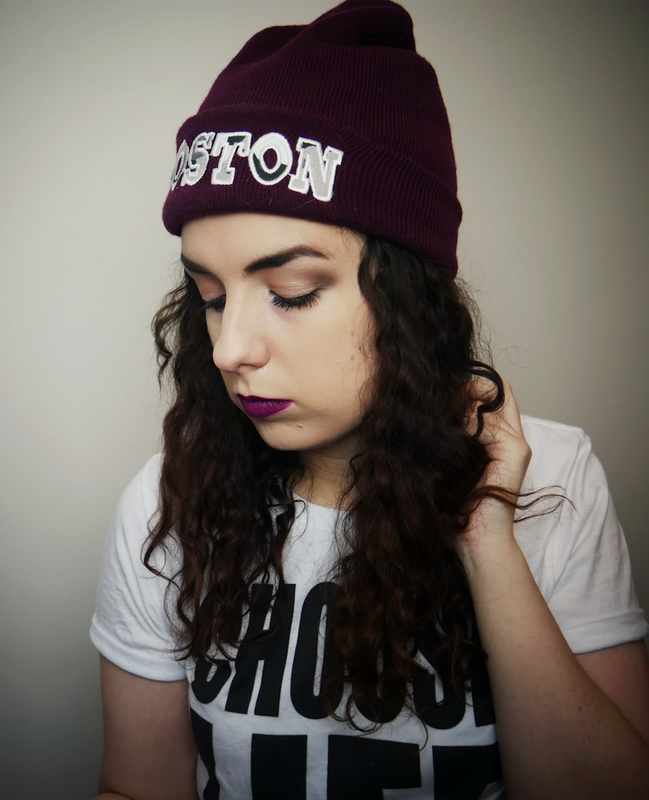 If you did then make sure to love it on Bloglovin or share it on Facebook. 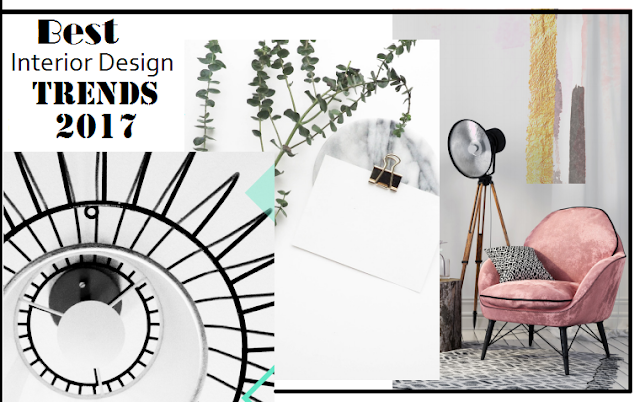 Also, make sure to leave a comment down below telling which current interior design trend is your favourite. I hope you have a great day and I’ll talk to you soon. *I was asked to promote this ebook for Chill Insurance. 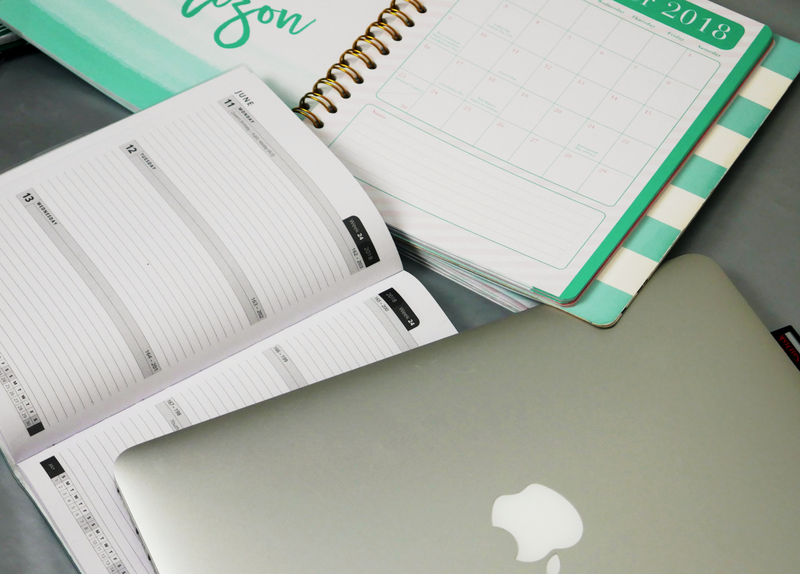 This does not change the fact that I was 100% honest in this post and truly think that this free ebook is worth checking out, especially if you are decorating or designing your home.